The first part of an in-depth look at Virtual-Only Shareholder Meetings, a new front in corporate-investor engagement. A shareholder proposal calling for the chairman’s resignation is coming up for vote at the physical annual meeting of Acme Inc. The Investor as Owner Subcommittee of the SEC’s Investor Advisory Committee (SEC-IAC) established pursuant to Section 911 of the Dodd-Frank Act issued a report on Impartiality in the Disclosure of Preliminary Voting Results. The recommendations will be discussed at a meeting on October 9, 2014. Steven Hall Partners published a list of all the failed “say on pay” votes this season to date. 56 companies failed with an average 60% ‘Against’ vote. Two additional company received less than 50% ‘For’ but considered the vote a win because ‘For’ votes outnumbered ‘Against’ votes due to abstentions. I say they’re crazy. They failed. Malcolm Gladwell’s book The Tipping Point: How Little Things Can Make a Big Difference discusses the “Broken Window theory. If a window is broken and left unrepaired, people walking by will conclude that no one cares and no one is in charge. Soon, more windows will be broken, and a sense of anarchy will spread. UNFI Vote: Have We Turned the Corner on Annual Elections? The Changing Profile of Board Recruitment, in the November/December issue of The Corporate Board by Bonnie W Gwin of Heidrick & Struggles, discusses a continued risk aversion among the leadership of the Fortune 500. Companies seeking to fill directors’ chairs with only current or former CEOs will find it nearly impossible to increase diversity on the board. This may create a conundrum for corporations who want to do both. Ever since ownership and management diverged, owners have met with those to whom they entrust their business. They do so at least annually to learn how the business is doing, to communicate, and to exercise their rights as owners. Last year United Natural Foods, one of the companies in my portfolio, announced they were breaking from this tradition of meeting face to face with owners. Instead, they held a virtual-only meeting on December 16, 2010. Will they do it again? Not if shareowners protest. We expect an announcement in late October or early November. Glyn Holton’s How To Steal a Corporate Election informs us of recent outrages on how elections are tipped in favor of entrenched managers and boards. If you’ve taken the time to read his post, I urge you to take another five minutes to help remedy the situation. American Tower Corporation (AMT) is utilizing a Voter Information Form (VIF), which includes Item 04. While it appears shareowners are being asked to approve the idea of say-on-pay votes (now required by Dodd-Frank), they are actually being asked to approve a say-on-pay vote. Until directors recognize the importance of annual meetings to the shareowners they are supposed to represent and take their related duties seriously, the schism is likely to remain or grow. 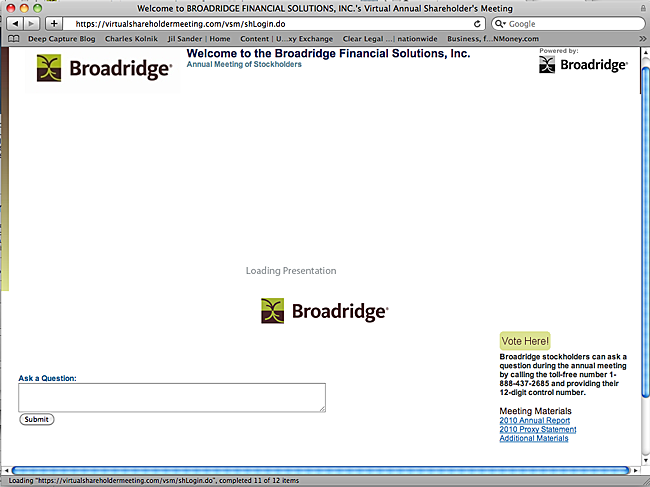 The rudimentary software Broadridge offers corporations for running virtual annual meetings disenfranchises shareowners. This was on display when Symantec Corp. hosted a virtual-only annual meeting with the software in September. It was again on display yesterday. There is an old saying that cautions “never smoke your own dope.” Broadridge didn’t heed that advice yesterday when they held their own annual meeting as a virtual-only meeting using their own software. The result was more technical problems, more disenfranchisement and more promises to “look into the problem”. First, let me caution that, if you ever attend a Broadridge-hosted virtual meeting for the first time, don’t try to log in five minutes before the meeting starts. You will never make it. There is a two-step process that has you first create an account with Broadridge and then sign-in to the virtual meeting. Just reading the lengthy terms of agreement will take twenty minutes. Shareowner L. Jacobs granted me a proxy to attend yesterday’s meeting on her behalf. Usually, a grant of proxy is documented with a formal letter, which one presents for inspection before entering an annual meeting. Broadridge’s web interface afforded no means to present my credentials. I dutifully held mine up to the forward facing camera on my computer monitor. At least I could say I tried. The site said nothing about attending as a proxy. It provided no means to sign on as a proxy. Ever mindful that rights not exercised are rights lost, I navigated the log-in as best I could, ultimately signing on as if I were Jacobs. The minutes ticked by. Was the meeting delayed? Anxiousness about whether the interface would work gradually turned to a sickening realization that it was NOT working. This is how disenfranchisement happens. No one tells you “You are disenfranchised”. It unfolds indirectly. A polling place never opens, for reasons not explained. Or you show up to vote, but your name is not on the voter list. Or you try to log onto a virtual annual meeting, but the interface doesn’t work. Did Broadride even know there were problems? Were they delaying the meeting while problems were fixed? I felt alone. If a tree falls in the woods where no one can hear, does it make a sound? I couldn’t access the meeting with either my Safari or Firefox browsers. Both browsers displayed the same blank “Loading Presentation” screen. Refreshing either browser did not help. I tried dialing the phone number for shareowners to call in questions to the meeting. I provided Jacobs’ control number and stated I was acting as her proxy. The question & answer session was already in progress, and I could hear over my phone the chair answering a question. He was saying something about investors entrusting Broadridge to provide “mission critical services”. It would have been funny, except he was right. Investors have no say in the matter. We are forced — by Wall Street, by the corporations we invest in, and by the SEC — to rely on Broadridge for mission critical services. When it was my turn to speak, I asked if the chair was aware people were having difficulty logging in. He said he wasn’t aware of the problem. I asked my question while he had people look into the matter. After answering my question, he announced that four people had reported problems to technical support, and three had been resolved. That sounded different from what the technical support person had told me. Basically, he was saying I was the only person who couldn’t log on. The chair went on to answer more questions, and my phone line went dead. I was once again cut off from the meeting. I called technical support again. I spoke to a different person who told me the Broadridge software only supported certain versions of Windows Explorer and Firefox. I was using Safari and Firefox on a Mac. Perhaps the software didn’t support browsers on a Mac, but I thought it unlikely. If the problem was with the browsers, I would have expected each browser to fail in its own unique way. The fact that both browsers displayed identical “Loading Presentation” screens suggested they were working fine, and that the problem really was with the Broadridge system. On the other hand, if Broadridge knowingly does not support Safari — which most Mac owners use — that is shocking. There was no warning on the virtual meeting website. 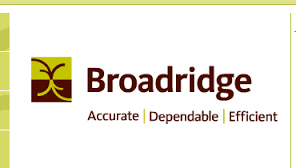 Is Broadridge providing “mission critical services”, or are they keeping up appearances? 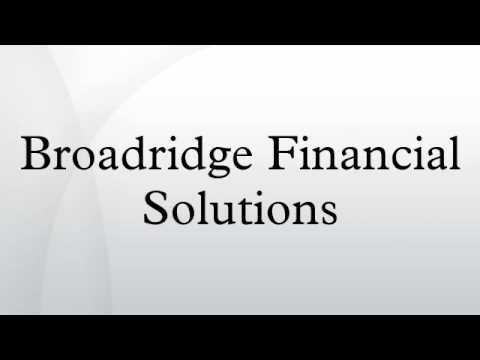 A situation is emerging with Broadridge’s virtual annual meetings that is similar to that with Broadridg’s proxy services. Both are “mission critical”, but there is a lack of transparency. Anecdotal evidence suggests the “proxy plumbing system” is a shambles, but there is no transparency. 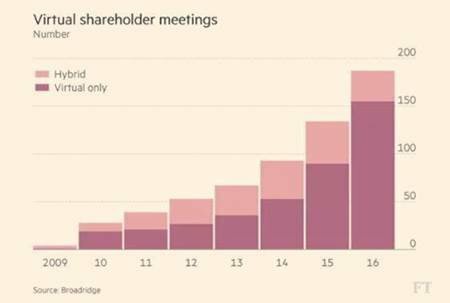 Anecdotal evidence suggests virtual-only annual meetings are a shambles, but there is no transparency. Broadridge has a reputation problem. This is what I tried to point out in the question I called into the meeting yesterday. They publicly take no stance on whether corporations should offer hybrid or virtual-only meetings. But through their actions and leadership on the issue, they promote virtual-only meetings. After all, they could have avoided controversy and held a hybrid annual meeting. 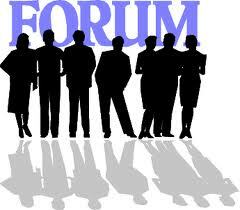 There are some 13,000 annual meetings in the United States annually. Providing technology for conducting these as hybrid meetings could be a wonderful new market for Broadridge. Rather than seize this opportunity, they are floundering in the controversy over virtual-only annual meetings. As long as that controversy continues, many shareowners and corporations will resist their technology. Broadridge should do what makes business sense and what is ethically right. They should facilitate only hybrid meetings, at least until the technology is advanced enough that shareowners trust it. Until such a time, shareowners need to stand together and oppose virtual-only annual meetings. The alternative is disenfranchisement. Historically, most retail shareowners have tossed their proxies. During the first year under the “notice and access” method for Internet delivery of proxy materials, less than 6% voted. This contrasts with almost all institutional investors voting, since they have a fiduciary duty to do so. “Client directed voting” (CDV), a term coined by Stephen Norman is seen by many as a solution for getting more retail shareowners to vote, ensuring companies get a quorum, and helping management recapture much of the broker-votes cast in their favor that evaporated with recent reforms. The SEC has indicated that CDV will, among other “proxy plumbing” matters, be the subject of a forthcoming concept release. Therefore, it is critical that shareowners become familiar with this term. The SEC can shape their concept release to facilitate management entrenchment or their framework can further the interests of shareowners. My intention with this Q&A is to help readers understand some of the surrounding issues and be better prepared to judge proposals. Since Stephen Norman coined the phrase in 2006, the concept of CDV is generally attributed to him and his work with NYSE’s Proxy Working Group. On October 24, 2006, the NYSE filed a proposed rule change with the SEC to eliminate all broker voting on the election of directors. Two months later in December 2006, Steve Norman presented a proposal called Client Directed Voting at an investor communications conference. The main feature of CDV is that it allows shareowners to instruct their broker how to vote in the event they fail to return a proxy and it severely limits their default voting options. Recent posts on the Harvard Law School Forum on Corporate Governance and Financial Regulation by John Wilcox (Fixing the Problems with Client Directed Voting, March 5, 2010) and Frank G. Zarb, Jr. and John Endean (Restoring Balance in Proxy Voting: The Case For “Client Directed Voting,” February 14, 2010) have helped to expand and popularize the concept beyond Norman’s initial concept. See also: CDV vs FAVE: More Proxy Voting Options, 2/17/2010 and Comparison of “Proxy Plumbing” Recommendations, 11/8/09. Mark Latham, a member or the SEC’s Investor Advisory Committee (SECIAC), actually proposed something similar at least as far back as 2000 (see The Internet Will Drive Corporate Monitoring and other papers at http://www.votermedia.org/publications) and his system provides more of an open framework, instead of leaning to management. Tbis post builds on his work, especially the Q&A he recently posted on the subject. My main contribution is to simply highlight some relatively small differences and to call out some additional concerns. See Latham’s recent post Client Directed Voting Q&A on the VoterMedia.org Publications page at http://www.votermedia.org/publications. 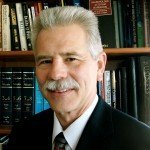 His post provides more online references as well as an interesting introduction to frame the topic. Here, I simply dive into frequently asked questions. The questions and Mark Latham’s responses are in black. My responses are in dark red. Caution: Where my response significantly differs from his, you won’t necessarily know, without comparing this post to Latham’s paper. 1. What do you view as the most significant merits and drawbacks of CDV? Quality of voting is more important than quantity of voting (voter turnout). The Open Proposal will increase both the quality and the quantity of voting by both retail and institutional investors. But I think its most significant impact will be to increase the quality of voting by both individuals and institutions. This will happen because of the implicit competition among various voting opinion sources, and their evolving reputations in the eyes of retail investors. Opinion sources will include institutional investors, retail investors, bloggers, activists and professional proxy voting advisors funded by possible new mechanisms discussed later in this questionnaire. Retail investors are the principals in the principal-agent system of corporate governance. We are the beneficial owners of all equities – in the U.S., 25 to 30 percent via direct purchases, and 70 to 75 percent via our ownership of shares in mutual funds, pension funds and other intermediaries. (By “share” of a pension fund, I mean the fraction of the fund’s assets that funds a person’s expected future benefits.) The agents in our corporate governance system include CEOs, boards of directors, institutional investors, proxy advisory firms, compensation consultants etc. The Open Proposal will improve the accountability of all these agents to the principals, by empowering retail investors with better information and voting tools. Drawbacks: The Limited Proposal has the substantial drawback of severely limiting retail investors’ choices for standing instructions on voting. The Centralized Proposal likewise has the drawback of limiting our choices to only the decisions shared by institutional investors. The Open Proposal has no drawbacks that I can think of. The key issue is to let shareowners control where their electronic ballots are delivered, just as there is no question they can control where hardcopy ballots are delivered. This simple requirement would give third party content providers an opportunity to compete and improve content. 2. In your view, how viable a solution is CDV to increase retail participation in proxy voting in the short term? How long do you think it would take before CDV materially increased retail participation rates? Once the Open Proposal is implemented by more and more retail brokers, I expect the quality of all voting and the quantity of retail voting to increase materially within 2 years. The increase in quality is more important, but I expect our retail voting rate to increase steadily and substantially in the long term, eventually surpassing 70%. Any implementation schedule would be heavily influenced the need for fees to be delivered to third-party providers and the need for a requirement that brokers must follow client instructions to deliver ballots electronically to third-party platforms. I’ve had personal experience with a broker reluctant to deliver proxies according to my instructions. 3. What other complementary reforms would you view as essential to ensure the success of any CDV approach that were to be implemented? We should fund various competing sources of proxy voting advice that would be available free to all investors. We should also fund some infrastructure for sharing voting opinions. Funds should be allocated among competing providers by retail investor vote. Sources of funds are discussed in my responses to later questions below. 1. In your view, would CDV be more likely to cause retail shareholders to engage with or disengage from proxy voting? Why? Do you think that either of the Limited Proposal or Centralized Proposal would be more likely to engage retail shareholder participation? Why? I don’t think the Limited Proposal would engage retail participation significantly. A wider range of voting choices is needed for that, so the Centralized Proposal would engage more retail participation, and the Open Proposal would engage the most retail participation. The Open Proposal will cause retail shareowners to engage with proxy voting because it offers several new and powerful ways for us to do so. Most will just choose a voting feed and instruct our brokers to implement it for our shares. That is powerful because it takes little time, yet can implement intelligent voting based on reputations of the voting feeds – reputations that will become conveniently available in the financial media, just as the reputations of car makers and computer makers are widely available. Many third-party platforms or voting feeds will be designed around “issues,” rather than harder to understand policies and procedures. That will naturally appeal to a broader base of retail shareowners. A small but important percentage of retail shareowners will get more involved in helping to determine those reputations of voting feeds. They will compare feed quality by such means as creating focus lists at ProxyDemocracy – see for example http://proxydemocracy.org/fund_owners/focus_lists/25. Additionally, institutional investors will begin to discuss their votes with each other more frequently, as well as with beneficial owners. Both are already happening, mostly as a result of votes disclosed at ProxyDemocracy. I’ve personally initiated such dialogues with several funds and have increasingly been met with a favorable response. 2. Assume there are three groups of retail shareholders: (i) those who participate in proxy voting currently, (ii) those who would participate but find the process too time consuming and onerous and (iii) those who are unlikely to ever participate in proxy voting. (a) In your view, how many retail shareholders would switch from category (ii) to category (i) if CDV were implemented? Would it make a difference in your view if the Limited Proposal or Centralized Proposal were implemented? My rough guesses for long term participation rates: Limited Proposal: 25% increase, with most votes going automatically to management. Centralized Proposal: 50% participation. 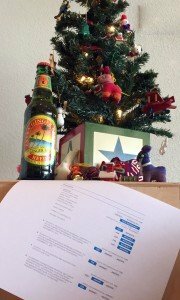 Open Proposal: 70% participation. Of course, these numbers depend on the promotion, regulation and disclosure of whatever CDV system is implemented. Engagement requires either a fiduciary obligation, which we won’t have for retail shareowners, the perception of value in the process (which may take a while) or passion around relevant issues. Of the three, passion around relevant issues will be the easiest to ignite. (b) In your view, would CDV have a meaningful impact on the level of category (iii) investors? Yes – the Open Proposal in particular will significantly reduce category (iii). Most shareowners are passionate about at least some specific issues. Once engaged, they are likely to engage further. 3. In your view, would implementation of CDV increase retail shareholder engagement with the annual meeting process? Why or why not? Yes. The most important part of the AGM is voting, so in my view engagement with voting is one type of engagement with the annual meeting process, even if the shareowner doesn’t physically attend the meeting. (See answer under #1 above). Director elections will be more closely watched, once shareowners gain a sense of empowerment. If brokers are required to deliver proxies as directed by their clients, another whole model could emerge around proxy assignments. Proxies assigned to organizations or individuals, for example, could give AGMs a new meaning. See http://contingencyanalysis.com/home/papers/suffrage.pdf. In the 1940s and 1950s thousands of shareowners frequently showed up for shareowner meetings because they sometimes actually deliberated issues and some of those in attendance held proxies from others. Lewis Gilbert, for example, was often given unsolicited proxies, which he used to negotiate motions at meetings. We are a long way removed from those days. Voting is important, but having a say in setting the agenda on what will be voted on is even better. If a significant number of proxies are assigned or even if shareowners routinely follow specific voting advisors or institutions, leading voices can actually begin to influence how agendas for annual meetings are set. 4. Do you think a CDV arrangement that called for individualized marked proxy cards, as contemplated under the Limited Proposal, would encourage or discourage retail shareholder engagement in the proxy process? The Limited Proposal would take us at least part way back to broker votes. In the absence of meaningful choices, most shareowners will defer to management. Although that would result in votes, I don’t see it resulting in “engagement.” It might be a plus for shareowners to be able to pull up a pre-filled ballot to show them this is how they are about to vote, according to registered preferences. However, I wouldn’t ask them to affirm every single pre-filled ballot. That could be a deal breaker for people with stock in lots of different companies or who would just rather spend their time on other activities. Under an Open Proposal, feeds will offer the ability for retail shareowners to essentially build a “voting policy” just as institutional voters are able to do. That model will increase participation and the quality of the vote. 5. In your view, would CDV encourage sufficiently informed retail shareholder voting or would it effectively discourage retail investors from reading the proxy statement and understanding the particular proposals in the context of a company’s particular circumstances? What criteria do you use in determining whether retail shareholder voting is sufficiently informed? Does your answer differ as between the Limited Proposal and Centralized Proposal? In my view, the Open Proposal will encourage sufficiently informed retail shareowner voting. In order for retail voting to be sufficiently informed, it is not necessary for all retail shareowners to read the proxy statement and understand the particular proposals in the context of a company’s particular circumstances. Most retail shareowners won’t read proxy statements. Open Proposal CDV enables retail shareowners to implement a specialization strategy similar to that of institutional investors. Most fund managers do not read the proxy statement and understand the particular proposals in the context of a company’s particular circumstances. They have specialized staff for that, some in-house, some out-sourced. Likewise a few of us retail shareowners will read proxies, but most will not. Those who do not read them will be informed by those who do, and by the many other sources of voting opinions who read the proxies. (d) sufficient funding for professional voting opinion sources that compete for funding allocated by retail shareowner vote. Thus the Limited Proposal would not inform shareowners sufficiently; the Centralized Proposal would be better; and the Open Proposal would be best in facilitating the ability of retail shareowners to align with groups they trust and that share their values. 6. What investor education measures would you recommend to ensure investors were sufficiently informed about CDV? Who should undertake those and bear the cost? I would recommend an ongoing competition open to any providers of investor education, who would compete for funding allocated by retail investor vote. This could be limited to education about voting issues (informing about CDV, providing voting opinions, organizing voting opinion data feeds, discussing reputations etc. ), or voting could be included in a broader retail investor education competition. For more explanation, please see http://votermedia.wordpress.com/2010/01/23/voter-funded-investor-education-proposal/ . This would benefit us retail investors, so we should pay for it. Since the benefit is shared broadly, it should not be paid by retail investors one at a time, but rather by funds that we own collectively – corporate funds. (See my answer to General question #1 above – “Retail investors are the beneficial owners of all equities.”) There are several possible ways of arranging this. One example is the “Proxy Advisor” proposal at votermedia.org/proposals. In the near term, the agents in our corporate governance system may try to prevent us from using our funds to empower ourselves this way, so a helping hand from regulators may be needed to get it started. Public funds earmarked for retail investor education and advocacy could be used for the first such initiatives. 1. Should retail shareholders have to renew their agreement with their brokers with respect to standing voting instructions annually or on some other basis? Why? Is your conclusion affected by the lower incidence of retail voting following the introduction of “notice and access” (i.e., even asking shareholders to take the time to access the proxy statement online resulted in a significant drop in participation)? Yes, it’s reasonable to require retail shareowners to renew their standing instructions annually. This renewal should only require a simple mouse-click, once the investor has logged in to the broker’s website and gone to the standing instructions page. The renewal could be done at any time, and be valid for one year from the last time the investor clicked to renew. It also affirms the channel of communication… the e-mail address is still valid. The quality and reputation of voting feeds will change over time, so retail investors should review their choice of feed at least annually. No, the “notice and access” participation dropoff may not be relevant here, since it occurred in a system without CDV. CDV is likely to fundamentally change retail investor attitudes and behavior regarding proxy voting. 2. Should the renewal process be an affirmative one – that is, the arrangement would drop away, absent shareholder action to renew his / her voting preferences? Does the fact of a rapidly changing governance landscape affect your decision? Why or why not? My answer to the previous question covers this question also. 3. How should CDV address director slates, in contested and uncontested elections? I don’t think director slates in contested and uncontested elections would make any difference to the implementation of CDV. All such cases can be handled the same way, with the retail shareowner voting as per standing instructions to use a specified voting feed. 4. Which matters should be eligible for inclusion in a CDV arrangement (e.g., only uncontested matters)? How would those matters be defined (e.g., shareholder proposals are almost always “contested” by management and the board)? How should the fact of significant variation among proposals on a given matter, particularly in light of a company’s particular circumstances, affect the decision about whether a matter is appropriate for treatment within a CDV arrangement? Like my answer to #3 above: All matters should be eligible for inclusion in a CDV arrangement. All can be handled the same way, with the retail shareowner voting as per standing instructions to use a specified voting feed. Competition among voting feeds will encourage those who create them to constantly try to improve their voting quality and reputation. One improvement is to adapt their analysis and voting decisions to the significant variation among proposals on a given matter. 5. If only selected matters are eligible for inclusion in a CDV arrangement, will CDV materially improve the retail investor’s engagement in the annual meeting process or the administration of proxy voting, given that there could be other matters on the proxy card as to which the shareholder would have to vote? Limiting CDV to selected matters only would lessen the benefits of CDV, so I don’t recommend such limits. It would be better not to implement any CDV that severely limits voting options, since once such a system is enacted it would be difficult to amend, given that those who would benefit from such limitations will be in an even stronger position to fight opening up the process. 6. Should preferences be indicated on a portfolio or per stock basis? Preferences should be indicated on a portfolio basis. That is simplest for retail investors and for brokers when they offer CDV to clients. Changing preferences stock-by-stock can be handled by those who create the voting feeds. So brokers need not build systems for stock-by-stock customization of standing instructions. With the Open Proposal, anyone can create a voting feed, just as anyone now can create a blog. One way to create a feed is to remix other feeds, just as blogs often post or link to material from other blogs. A remixed feed can select different source feeds for different stocks or different industries or different categories of voting matters (director elections vs shareowner proposals etc.). In the article “The Internet Will Drive Corporate Monitoring” I called remixed feeds “meta- advisors”. 7. The Limited Proposal is constructed such that retail investors could provide standing voting instructions to their brokers in their brokerage agreements. If standing voting instructions were indicated on a portfolio basis, should the instructions cover only those companies in which a retail investor owns shares at the time the brokerage agreement is signed or all subsequent purchases of stock as well? If instead preferences were indicated on a per stock basis, when would retail investors indicate their preferences with respect to stocks purchased after the investor’s brokerage agreement was signed? At the time of purchase or some other time? Standing voting instructions on a portfolio basis should cover all subsequent purchases of stock in that portfolio. 8. What choices should a retail shareholder have when deciding its standing voting instructions? (a) Only those from the Limited Proposal, namely (i) vote against management, (ii) vote for management, (iii) abstain on all matters, and (iv) vote proportionally with the firm’s other clients’ instructed votes? (b) Vote in accordance with the brokerage firm’s published guidelines? (c) Various institutional investor voting guidelines? (d) Proxy advisory firm guidelines? What do you see as the pros and cons in providing each of these choices to shareholders (e.g., insufficient number of choices, information overload, likely absence of action when too many choices)? Are there other choices that are appropriate? Because we retail investors are principals not agents, there are few reasons to regulate how we vote our stock. One valid reason is to prevent vote-selling. The tried-and-true way to prevent vote- selling is to keep voting decisions confidential, as we do in democracies. Only when an agent is voting other people’s stock do we require vote disclosure, even though that opens the door to vote-selling. Therefore retail shareowners should be able to vote any way we choose, subject only to a prohibition on selling our votes. So I recommend the Open Proposal, where we can choose any voting feed. The potential information overload problem can be handled well enough by the market for public reputation. Most retail investors will only pay attention to perhaps the top ten best known voting feeds. A small minority of retail investors, along with writers in the financial media, will be the opinion leaders helping to determine public reputations, and thus which of the hundreds of voting feeds deserve to become the best known. 9. The Limited Proposal, as originally conceived, calls for the default choice to be proportional voting with the brokerage firm’s other instructed votes. Do you agree or disagree with this default choice and, if the latter, what should the default choice be (e.g., no vote)? This question arises for all three CDV proposals discussed here: what about investors who don’t give standing instructions, or whose instructions have lapsed after one year with no renewal? The default choice should either be whatever the shareowner selects or it should be a “no” vote, just like if a voter fails to mark an item on the proxy, that item should be left blank. 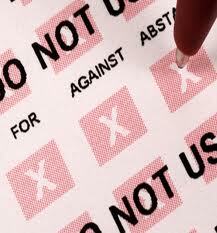 Counting a blank vote as anything else would make mounting campaigns to deny companies a quorum much more difficult. Neither brokers nor anyone else should be permitted to vote on any ballot item in the absence of voter instructions (i.e., all items should be considered non-routine matters in NYSE rules). This is one reason why the Limited Proposal is such a poor choice. It would be better not to have CDV at all than it would be to go with the Limited Proposal. Again, once adopted, it will be hard to change because those who benefit from severely limiting options will have a vested interested in continuing to limit the voice of shareowners. 10. What administrative steps would brokers have to take to implement CDV? What step is most likely to provide an obstacle for CDV (e.g., individualized marked proxy cards, having information from companies about proposals to be voted on a timely basis)? How would broker obligations affect the company’s own obligations under Rule 14a-8 (e.g., would those obligations have to be accelerated)? Brokers would have to create a page on their website for retail investors to indicate which voting feed they want to use for standing instructions. Brokers would have to store their clients’ instructions and transmit them to Broadridge (or other service provider). I don’t think individualized marked proxy cards are necessary, but could be provided if an investor requests them. Broadridge could handle the details of getting the voting decisions from the selected voting feeds, matching them with client shareholdings, and offering electronic and paper-based ways for investors to override their feed-based instructions if desired. I don’t think broker obligations would affect the company’s own obligations under Rule 14a-8. Brokers/banks, transfer agents should be capable of passing through or delivering proxy votes to all valid electronic platforms. If that is the case, they don’t need to do much more than be aware and make their clients aware of the options. 11. In your view, would brokers in fact increase their engagement with retail investors about matters subject to a vote at a company’s next annual meeting? 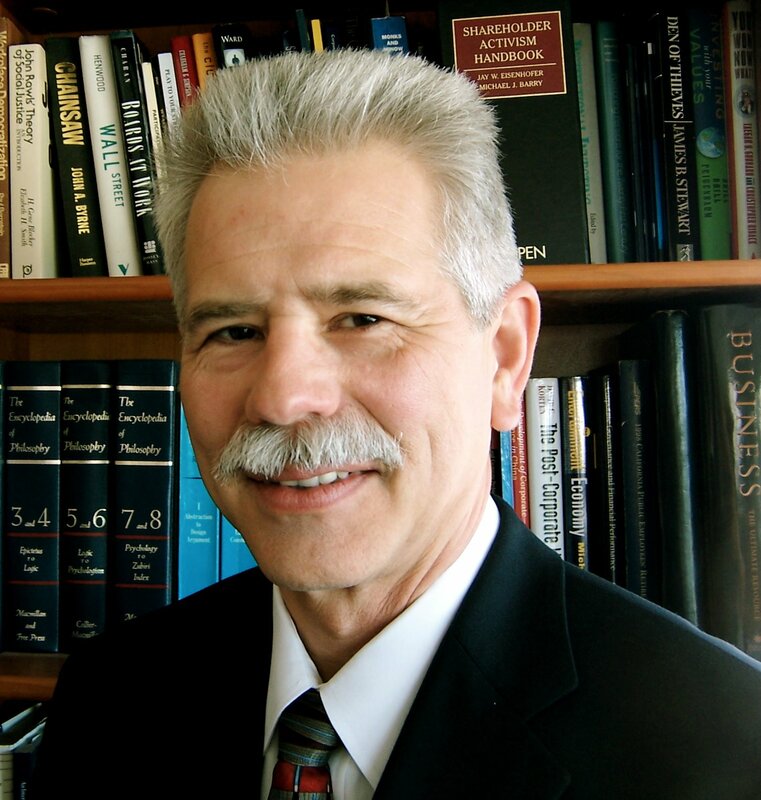 Would liability considerations affect your conclusion? Should brokers who do engage be exempt from the solicitation rules? I don’t think it would be the brokers’ role to increase engagement with retail investors on voting matters, unless a broker wants to develop a reputation as a voting “brand.” (see Proxy Voting Brand Competition at http://votermedia.org/publications) There will be plenty of engagement in the public shared realm, for example via sites like moxyvote.com. Brokers could just link to such sites from their client web interface. 12. Should brokers be able to delegate responsibility for fulfilling their obligations under a CDV approach such as that contemplated by the Limited Proposal (i.e., filling out individualized proxy cards, maintaining lists of customer standing voting instructions, etc.) to a third party agent? Are there any obligations brokers should not be able to delegate to an agent? I’ve addressed most of these issues in my response to question #10 above. Brokers should not be forced to take on CDV responsibilities. Other third-party firms will do a better job. The key is to ensure that brokers or their agents deliver ballots to wherever the shareowner directs. 13. What level of responsibility and liability should be attached to intermediaries for properly completing a proxy card for CDV, if that feature were adopted as part of a CDV arrangement? If brokers are able to delegate such responsibilities to a third party agent, what liability, if any, should attach to the agent? I have no particular view on this, beyond the obvious general principle that there must be enough responsibility to make the overall CDV system work. I’m not sure which design will best balance cost, integrity and ease of use. 14. Should a clear audit trail and related reporting be required elements of CDV? Who would bear responsibility for assuring the quality of the audit trail and producing related reports? Who should receive the reports in the first instance (e.g., only the company and the tabulation agent)? Same answer as for #13 above. 15. What costs would you foresee in implementation of CDV? Who should bear those costs? If the costs should be shared, how should that decision be made? Why should companies wish to pay for CDV, given that they may view CDV as a reductionist approach to complex issues of governance (i.e., indirect subsidies by smaller companies with fewer issues or larger institutional ownership, as compared to larger companies that attract greater attention and have potentially larger retail ownership)? Cost categories include: (a) creating voting opinion feeds; (b) system development for brokers; (c) vote processing by Broadridge and similar service providers. If the SEC publicly encourages the development of CDV, many organizations are likely to build the necessary systems voluntarily at their own cost. Voting opinion websites have already started appearing (ProxyDemocracy.org, TransparentDemocracy.org, MoxyVote.com). These can easily start sharing voting opinion feeds. To enhance their quality, public funds earmarked for retail investor education and advocacy could be allocated by investor vote among such competing providers of tools for CDV. Once we have a broad choice of publicly available voting feeds, it will not be expensive for brokers and Broadridge to adapt their existing proxy vote systems to use the feeds. Some adjustment to the existing system of issuer fees for vote processing will help shift payments from paper mailings to electronic submission via CDV standing instructions. CDV will increase the quality of voting and decrease the quantity and costs of paper mailings. These benefits will outweigh the costs of building CDV systems. Standardized data tagging will likewise streamline the system and reduce costs in the long run, although it will require some up- front investment. In your question “Why should companies wish to pay…?”, I’m not sure if you mean “Why should the owners of companies wish to pay…?” or “Why should senior employees of companies (e.g. CEOs) want companies to pay…?” So I’ll answer both questions: We owners of companies should wish to pay (with our companies’ funds) because for us, the benefits of better voting, increased accountability, better corporate governance, and resulting higher investment returns will outweigh the costs. Some employees (e.g. some CEOs) may not want companies to pay, because the increased accountability would reduce their power and influence over their own pay and tenure as CEOs. NYSE rules require payment by issuers for the cost of voting electronically but issuers may not always be doing so. See NYSE Rules 450-460 pertaining to proxy distribution. The Rules are actually written for “member organizations” (i.e., brokers) and specify what brokers or their agents (e.g., Broadridge) can charge for distribution and collection of proxy-related items. The rules are very clear that Issuers are supposed to pay for all of the distribution (and collection) costs and that brokers can expect to collect from them. These rules should also apply to Issuers when shareowners choose to take delivery of proxies or to vote through sites like RiskMetrics, ProxyGovernance and MoxyVote. The fees that Broadridge is charging to electronic voting platforms (RiskMetrics, ProxyGovernance, MoxyVote, etc.) should be paid by the issuers as part of the overall collection costs (like postage). The electronic platforms, in this function, are merely an extension of the proxy distribution agent and it’s odd that fees are payable to Broadridge (beyond a nominal fee covering their costs). It’s also notable that Broadridge charges on the order of 10X for electronic vote collection from these platforms than it is permitted to charge the issuers, from what I understand. A key point here is also that fees are charged to electronic platforms on a “per ballot” basis (generally one fee per position per year). Electronic platforms are generally passing along these costs to voters. That becomes much more difficult, perhaps impossible, when trying to service retail shareowners with small position sizes. 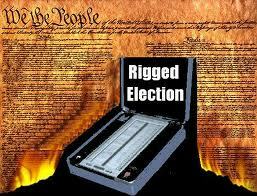 This is, in effect, a system where the voter is paying to vote, like the old Jim Crow poll tax. It also inhibits progress (i.e., the development of electronic platforms for retail shareowners) because voting through the mail and through the phone is free. Why should retail shareowners have to pay when voting online, which is inherently the least expensive method of voting? Why should services like MoxyVote have to front such expenses? 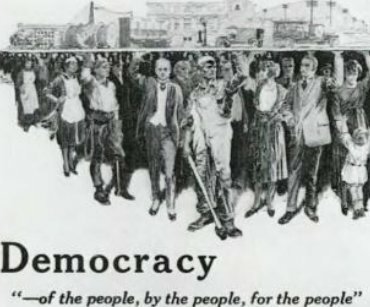 Without a change, it is hard to see how they can ever turn a profit and it seems even less likely that nonprofits, such as ProxyDemocracy, would ever be able to offer users the option of voting on a ProxyDemocracy platform. 16. What ongoing costs would there be in the use of CDV? Who should bear those costs? My answer to the previous question applies to this question also. The NYSE should consider forcing Broadridge to direct some of its “paper suppression fees” to firms like MoxyVote.com that should be sharing in this incentive, since shifting to electronic from paper voting saves money. 17. 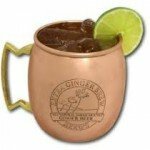 Do websites such as ProxyDemocracy.org, TransparentDemocracy.org or MoxyVote.com (or even a new database of institutional decisions) make CDV, or at least the need for tailored proxy cards, less necessary as a method? These websites are the first steps toward Open CDV. For the sake of improved accountability, corporate governance and investment returns, we should build on these pioneering initiatives and develop a complete Open CDV system to empower all retail shareowners. I don’t think hard-copy proxy cards are important, but could be offered to those investors who request them. We should have online systems that let investors manually override their standing instructions. All CDV proposals include this feature. We can preserve the manual online voting systems we already have, as an option that each investor could use if and when desired. Ballots can land in electronic mailboxes of choice blank and can then be pre-filled based on the “voting policy” or “brand” loyalty program created by the user (i.e., just as institutional voters have been doing for years). In this section, I try to answer the questions in two contexts – for the Centralized Proposal and for the Open Proposal (which I also call Open CDV). If predisclosing their voting decisions is voluntary, then some institutional investors would do so and some would not. One reason could be to maintain confidentiality of their voting decisions, for example to avoid improper influence on them from corporate management. Another may be to avoid revealing their holdings (and thus proprietary investing strategies) at that moment. In the Open Proposal which I favor, it’s not a problem if many institutional investors don’t predisclose their votes. There is already a healthy base with Florida SBA, CalSTRS and CalPERS covering most companies. In addition, there will be plenty of other sources of voting advice besides institutional investors, many of which will be focused on a limited number of issues. Some can already be seen at MoxyVote.com. 2. In your view, is it feasible to receive institutional investor voting decisions sufficiently in advance of an annual meeting to input into a database as contemplated in the Centralized Proposal? What operational concerns might you have? Yes, with automated networked systems, timeliness should not be a problem. This would be less of a concern with the Open Proposal, since its numerous sources of voting advice can be used as fallbacks in case some voting decision sources are too late or missing. MoxyVote.com has already built its system that way, where users specify a priority list of decision sources, and the highest priority one with a decision available is used. A fundamental operational issue is data standardization across all users in this shared networked system. 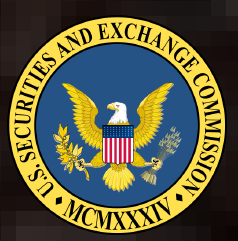 The SEC Investor Advisory Committee’s Proxy Voting Transparency proposal, passed unanimously on February 22, 2010, advocated standardized data tagging that should resolve this issue. Additionally, I understand that on electronic voting platforms, the vote doesn’t necessarily get submitted until very near the final deadline. However, if votes are simply being filled out according to the guidance of third-parties, votes can be compiled and cast very quickly. 3. Should retail investors be given notice when new institutional investors add their voting decisions to the database after a retail investor has provided its standing voting instructions? What sort of notice should be provided? Who should be responsible for providing the notice? CDV will induce an active public discussion in the financial media about the reputation of various sources of voting opinions. Most of us retail investors will not need to pay attention to every new source of opinions. Most of us will pay attention to the opinion leaders in this public discussion, who will let us know, for example, their top ten recommended and/or popular opinion sources, and their general characteristics – e.g. degree of emphasis on financial vs environmental vs social/political considerations. It will be like brand reputation for makers of complex products like cars or computers. So no, there is no need for notice to be sent to retail investors when new institutional investors add their voting decisions but investors should be able to seek and find such information easily and should be able to subscribe to a news feed like google, alerting them to new participants. The new providers have every incentive to get the word out. Again, this issue is less of a concern in the Open Proposal, with its greater breadth of available voting opinion sources. Annual review and/or confirmation will help those who do not pay attention to keep up more than they otherwise might. 4. Would you allow any institutional investor who wanted its voting decisions to be in the database to be included? Why or why not? If not, what criteria should be used to decide which voting decisions would be available? Should there be an ownership threshold? If so, what threshold would you recommend? Should they be paid a license fee? Likewise, these kinds of concerns are a good illustration of why the Open Proposal is better than the Centralized Proposal. In the Open Proposal, anyone can publish a voting feed for free, just as anyone can now publish a blog for free. There is no centralized database of blogs; there is just a data standard, which we should soon have for proxy votes. 5. Should a CDV database of voting decisions provide background about the nature of the contributing institutional investors, so that retail investors could place the voting decisions in context (e.g., determine whether the institutional investor likely has a bias)? If an institutional investor’s voting guidelines or decisions are reported, should it be required to provide context for the guidelines or decisions (e.g., conflict of interest disclosure)? If so, what contextual information would be appropriate? Should liability attach to that information? An unregulated public market for reputation of voting opinion sources can probably handle most of these issues well enough, especially in the Open Proposal where it is easy for new entrants to compete by building better reputations for serving retail investor interests. Additional disclosures, especially regarding potential conflicts of interest, should be encouraged but not required until we see abuses that may make such requirements advantageous. Normal contract law should cover liability requirements. 6. In your view, should a proxy advisory firm’s guidelines on voting various measures be included in a database of voting decisions? Why or why not? Would your view change if the SEC regulated proxy advisory firms? If I answer in the context of the Centralized Proposal, I would favor making it as much like the Open Proposal as possible: free voluntary access by all who want to participate, as providers of voting decisions and receivers of voting decisions. If a proxy advisory firm wants to publish its guidelines and/or its specific voting recommendations, they should be allowed to do so, as at least some do now. The Open Proposal does not depend on a centralized database, so the inclusion question does not arise. My views here do not depend on SEC regulation of advisory firms. 7. How easy or difficult would it be to develop the technology for the voting decision database and proxy-voting platform contemplated in the Centralized Proposal? Not difficult. ProxyDemocracy and Moxy Vote have already built much of this, on a very low budget. Both systems can be readily enhanced if additional data standardization is adopted by the SEC and if cost reimbursement is forthcoming from issuers. See discussion by MoxyVote.com at http://www.sec.gov/comments/s7-22-09/s72209-8.pdf. 8. Who should bear the costs of maintaining any database of voting decisions? Who would determine what fees could be charged for use of the database? Should CDV be premised on retail investor willingness to pay for access to the database (as is the case for existing proxy advisory firms)? Voting systems are a collective benefit to all shareowners of a company. So it does not make sense to make each individual voter pay to be able to vote. That’s why democracies don’t charge their citizens a fee to use a polling booth when there is an election. Citizens pay for election administration costs as a group, not one by one. Likewise the information systems to enable intelligent voting are a collective benefit, and should be paid collectively, not one user at a time. To encourage competition among information providers, collective funds (i.e. corporate funds) should be allocated among them by the voters. Thus retail shareowners should allocate at least some of the CDV infrastructure funds by vote. This could pay for professional proxy voting advice that could then be shared freely. It could also pay for some infrastructure, such as free shared databases if they are needed. There is a large cost differential between delivering proxies by U.S. mail and through the internet. This cost savings should be used to pay the costs of Open CDV. 1. Why should institutional investors care about CDV? Isn’t this a retail shareholder issue? Building reputations will build followers; institutions successful in creating “brands” will gain following and influence. As mentioned above, CDV will create a new public debate about the quality of institutional investor voting. Institutions are voting on behalf of retail shareowners now. So this retail issue is also an institutional issue. 2. If a database of institutional investor voting decisions were made available as contemplated under the Centralized Proposal, would other, smaller, institutional investors make use of this database? Under either the Centralized Proposal or the Open Proposal, I expect that many smaller institutional investors would make use of the voting opinions available. Proxy advisory services may try to curtail disclosure by larger institutional investors in order to maintain their business and avoid disseminating research for free to smaller institutional investors but I expect they will have a difficult case, since many of these larger institutions subscribe to multiple services and have their own staff. They will be able to argue and show that disclosure of their votes is not giving the proxy advisory services they paid for directly to smaller institutions, since their final votes will often differ. 1. In your view, would corporate managements generally be willing to support CDV as a means to increase retail shareholder participation or does the diversity of issues facing public companies in light of their particular circumstances make it less likely that they would favor participation over informed participation? Do you think CDV would be more or less likely to promote a “one size fits all” approach to governance and other issues? Some corporate managements would be willing to support CDV as a means to increase retail shareholder participation. Other corporate managements may oppose CDV (especially the Open Proposal) because it will reduce their power while empowering the firm’s beneficial owners. Some managers and entrenched directors may prefer participation by “sheep” in a relatively constrained environment where a few sizes fit all. However, an Open CDV system would encourage management to participate in these platforms as well. Management and existing boards want the ability to communicate with shareowners. Open CDV systems could provide the platform in a space of higher trust. It will enable more informed voting by networking and sharing the information available. This is similar to the way institutional investors vote stock, where typically a staff of specialists make the voting decisions on behalf of fund managers and beneficial owners. One key difference with CDV however, especially under the Open Proposal, will be that we beneficial owners will have the power to choose among competing sources of voting opinions. We will also have more opportunity to contribute to the voting opinions and the reputation assessment of opinion sources. Open CDV will increase informed participation by retail investors in the voting decisions of stock we beneficially own through institutional investors. At a minimum, we will be able to express more informed opinions about how institutions are voting our stock. Open CDV would be less likely to promote a “one size fits all” approach to governance and other issues, since it offers maximum competition among sources of voting opinions. Competition will enhance voting quality, and “one size fits all” is a low quality approach which will thus be used less and less. For example, when I find conflicting votes between CalPERS and another advance discloser, I often go with CalPERS because they most frequently provide a reason for their vote. As this becomes more popular, more care will be put into the reasons disclosed. Canned votes and reasons will sway fewer votes as disclosures become more sophisticated and value their brand following. 2. In your view, would you expect that solicitation expenditures would decline, increase or stay the same if CDV were implemented? Why? I expect that that solicitation expenditures will decline under Open CDV, especially in terms of just getting participation. Solicitation will be replaced by and/or migrate to elements of the CDV system, which will be supported by collective funds, becoming free or low cost to all users. Solicitation will focus on convincing the CDV opinion leaders and large funds of the relative merits of each possible voting decision, just as solicitation now gives emphasis to convincing proxy advisory firms. 1. Are other approaches that are comparable to CDV more desirable? a. Creating a system of “public” proxy advisory firms to increase public availability of professional voting advice? This would be a valuable adjunct to CDV. Even under the Open Proposal where anyone can contribute voting opinions to the public, I expect we will still need professional voting advice. Widespread sharing of free advice via the internet is likely to undermine the business model of existing proxy advisory firms (PAFs), just as free sharing of news is now undermining business models of the mainstream media. So to raise the overall quality of voting, a system of “public” PAFs makes sense. That was the reason for the title of my article “The Internet Will Drive Corporate Monitoring”. “The Internet” was a reference to internet-based CDV, and “Corporate Monitoring” was a reference to public PAFs and enhancements thereof. For such a system to work, it is important for the public PAFs to be chosen by shareowner vote, to give PAFs a strong incentive to serve the owners’ interests. They should be paid from the shareowners’ corporate funds. The SEC should encourage the development of PAFs by amending rule 14a-8(i)8 to allow shareowner proposals that would allocate corporate funds to PAFs that undertake to offer proxy voting advice, including advice on director nominees, that is made freely available to all of a companies shareowners. See examples at http://www.corpmon.com/corporations/proposals.html that could be substantially modified based on more recent experience with university and municipal governance to make them more easily implemented. b. Changing the pop-up on proxyvote.com to allow for other choices besides voting for management? This too would work best as an adjunct to CDV. A potential difficulty with the pop-up approach is, which choices should be offered? With Open CDV, there will be potentially hundreds of choices – too many for a pop-up. But the proxyvote.com pop-up could show the choices being selected by those retail investors who are using the full CDV system by rank and another alphabetically. c. Allowing shareholders to “plug in” to a voting feed or electronic voting platform (e.g., by requiring companies to permit shareholders to direct the proxy card or VIF to the desired platform)? Voting feeds and electronic voting platforms like Moxy Vote are not “comparable” to CDV. They are CDV – ways for clients to direct voting by giving standing instructions. I think the best design for CDV is the Open Proposal with voting feeds. It is scary to me that CDV systems that don’t allow shareowners to dictate where their electronic proxy ballots are to be delivered are actually being contemplated. NYSE rules already allow the shareowner to control delivery to a physical address, why would this not extend to electronic mailboxes? 2. Would you be in favor of additional regulation to facilitate the creation of public voting databases, such as data-tagging of proxy and vote filings and further relaxation of solicitation rules? I would be in favor of data tagging mandates. They are a mild and inexpensive form of regulation, just a transparency requirement. In the long run, Open CDV will make it feasible to reduce many other more expensive and intrusive forms of regulation, that try to limit abuses by the agents in our corporate governance system. It is cheaper and more effective to empower the principals with a better information system. I also favor relaxation of solicitation rules. That would be less regulation, not “additional regulation”. Certainly, it would be good to have clarification that making voting decisions known in advance of AGMs does not constitute solicitation. Not only will CDV improve our corporate governance system, but “public” voting advisors will make agents more accountable to principals in corporations and in democracies. We will have competitive markets for shared information. Voting advisors that compete for public funds allocated by citizen vote in democracies are called “Voter Funded Media” or VFM. They make political leaders and bureaucrats more accountable to citizens. The VFM system has been developed and tested at the University of British Columbia for the past four years – see “Global Voter Media Platform” at votermedia.org/publications. Its success provides a live illustration of how a new competitive voter information system can influence the older less competitive system, even when the older system has far more funding. If the new system is more closely aligned with the principals’ interests, it will put competitive pressure on the old system. …the fundamental questions of whether, does VFM work for students? I think yes. Does it increase campus discussion and student engagement? I think absolutely. Does it ensure that established media, you know, does a better job? Yeah. Are students and is this campus better off because of that? Well, absolutely. The new equilibrium is one of cooperative competition. The Ubyssey now cooperates with VFMs on joint news media productions. These media competitors often link to each other. Student journalists comment on their competitors’ news stories, and sometimes leave one media group to join a competing media group.